The important factor to remember here is good user experience! A poor performing website results in poor user experience, further resulting in lost sales. This not only applies to the end consumer, but also to how Google and other search engines perceive and rank your site. Why should they care? Well let’s find out! With over 80% of consumers shopping online and over £103.9b ecommerce sales in 2014, it’s important to ensure that when a customer finds your site you can give them a good user experience. 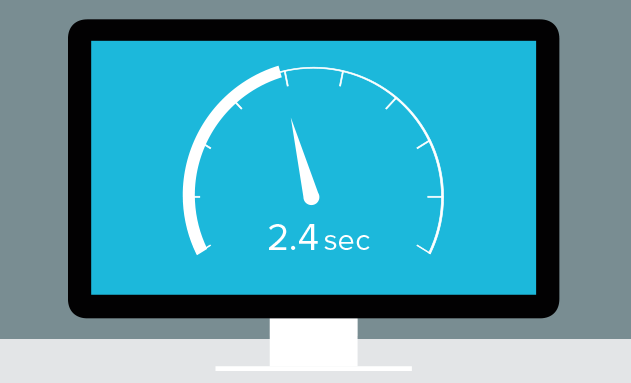 A primary factor contributing to positive user experience is the speed of your site. If consumers have to wait for more than 3 seconds for your ecommerce site to load, 57% of them will bounce immediately. 80% of these people will also never return to your store. The shocking fact is that most ecommerce stores take 10 seconds to load and this is increasing year on year. Google uses many different algorithms to determine the ranking of your site. Many of these algorithms relate to the content (title, text/copy, URL and headers) or authenticity of your site (inbound, outbound links, domain name authority etc.). However, in 2010 Google added another algorithm; they announced that the speed of your site would now have an impact on search engine results. Now you may ask ‘why is Google interested in the speed of my site?’ The answer is simple; Google is a search engine that handles more than three billion searches every day, and they want their customers to be happy with the whole user experience. From the initial search, to buying a product or finding the answer to a question, Google want to provide the best service, with the end result being that you will then trust Google for another search in the future rather than using a competitor. The good news is that there are many websites out there that can help you to determine the speed of your site, and many of these sites offer suggestions on how to make improvements. Page Speed is an open source Firefox/Firebug add-on that evaluates the performance of web pages and gives suggestions for improvement. YSlow is a free tool from Yahoo! that suggests ways to improve website speed. Webmaster tools is Google’s own free tool that allows you to analyse your site and also provides suggestions for improvement. It is important to point out that site speed comes down to three factors: hardware, software and template/content. You may not be able to implement many of these fixes by yourself, but knowledge of them is important to enable the company or technical team you are working with to successfully implement them. Unless you are in control of your own hardware there is little that you can do to fix server issues or hardware issues yourself. Your best option is to ensure that you host your site with a hosting company that understands your requirements and can also supply you with good hardware, helping you optimize the server software to get the most out of your website. Both the location of your physical server and your customers matter when it comes to speed. For example, if you were hosting your site on a dedicated server based in Europe but most, if not all, of your customers were based in Australia, it would be advantageous to move your dedicated server to Australia. The alternative is to use a content delivery network (CDN) such as Cloudflare or Amazons CloudFront. This is a network of edge servers located around the world to deliver and distribute your web pages and content to the end user. A CDN works by ensuring your files and website are closer to your customers making it quicker to deliver the content to the browser. Good ecommerce software should have static page caching as standard. It allows the server to store a cached version of a page, which then loads faster when requested as the page does not have to be rendered from lots of requests to the server. This could cut page load time from 300ms to 30ms. In addition to this, using static page caching with CDN could drop the time to interact (TTI) to 10ms as the edge server nearest to your location can cache the page, so the data does not need to travel as far. There are many ecommerce systems available for the end consumer to choose from, but when picking an ecommerce solution you need to consider the impact of how the system has been built and its performance. Some software may appear to have all the bells and whistles and fit the requirements of your site, but if the software does not perform (i.e. it is slow to load indexed products or product attributes) it could have a detrimental effect on your conversion rate and ability to retain customers. It will also affect the median TTI for customers and the time to first byte (TTFB); a metric which measures the time it takes for a browser to receive the first byte from a web server when requesting a given URL - an indicator of back end performance. When reviewing site speed from a consumer perspective you need to take into consideration the TTI. This is the point at which the page loads its initial content to the end user. The metric is designed to be a key gauge of how quickly a page can deliver satisfactory user experience. It is the point at which the consumer may be able to use page navigation or make choices depending on the content of the page. The page may still be loading things in the background but these items may not affect the users experience. If you have a long page with lots of content, it is possible to control speed for a practical section of the page. It’s important to load the top half of a page first to allow for user interaction before loading any content below the fold of the browser window. Minification is the process of removing all unnecessary characters from the source code without changing its functionality. As this process reduces the amount of data that needs to be transferred to the end user, the page load is reduced which aids with good user experience. This is one of the easiest fixes that you can make. Many sites, especially ecommerce sites, have some kind of customer management system to upload images. The down side to this is that if neither the system or the user has the knowledge or facility to optimize images correctly, the content of your site (i.e. product images) could slow down your entire website. This then effects conversions due to the customer having to wait for the image or page to load. There are many factors that can affect the speed of your site. Some of these you may be in control of (i.e. the general content of your site), but others may reqyre careful planning and analysis to determine the changes needed to improve site speed. Website owners should first start by measuring and analyzing their time to first byte and their time to interact with the tools mentioned earlier (e.g. WebPageTest). Then, depending on the results, work to improve your website’s TTFB/TTI. This may include simply optimizing page content, or perhaps using a CDN, optimizing software or any of the other speed factors mentioned in this post. 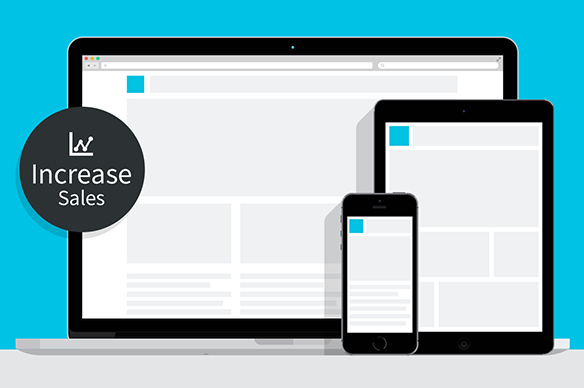 Responsive design is fast becoming standard practice for many websites, especially in ecommerce. It’s been shown to increase your sales, search engine ranking and most importantly better your customer’s experience.